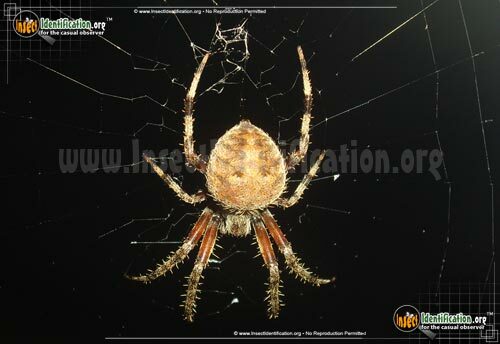 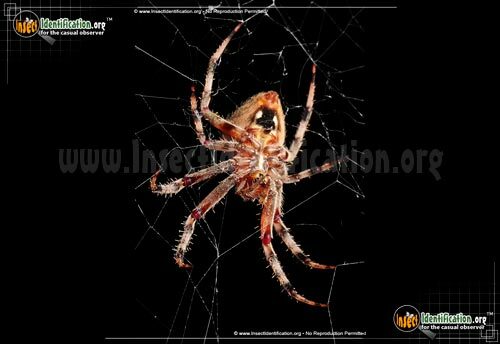 Detailing the physical features, habits, territorial reach and other identifying qualities of the Spotted Orbweaver. 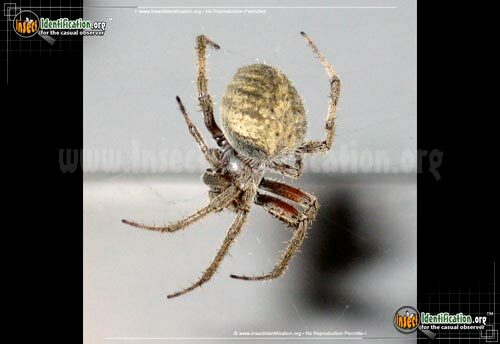 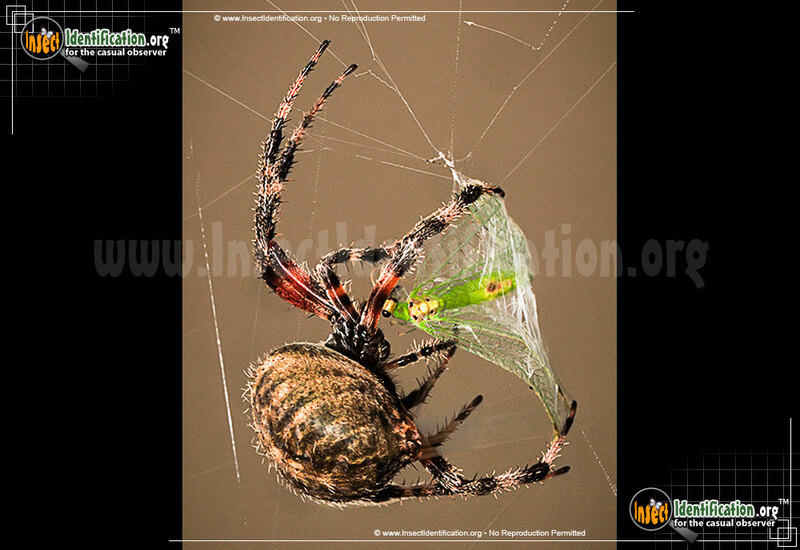 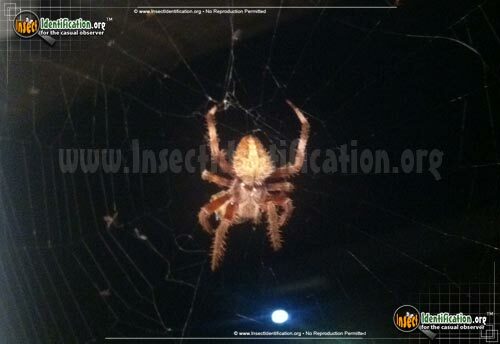 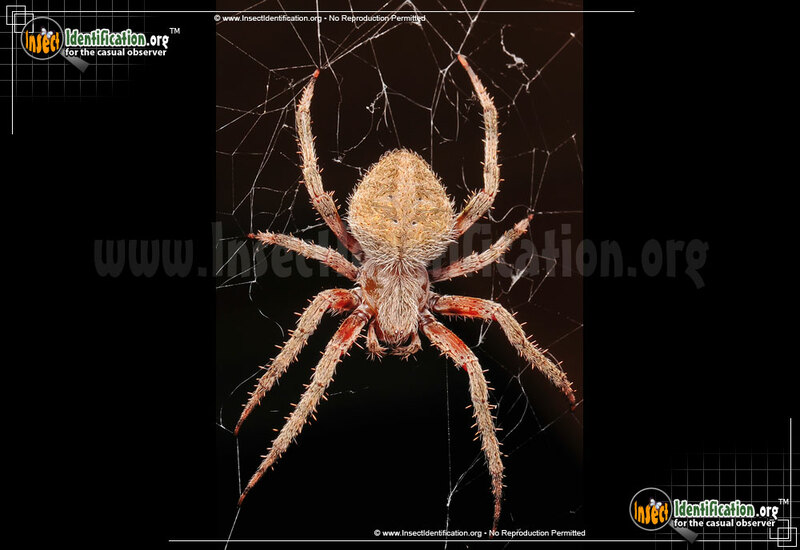 The red legged and hairy Spotted Orbweaver is a commonly sighted arachnid that is both hunter and hunted. 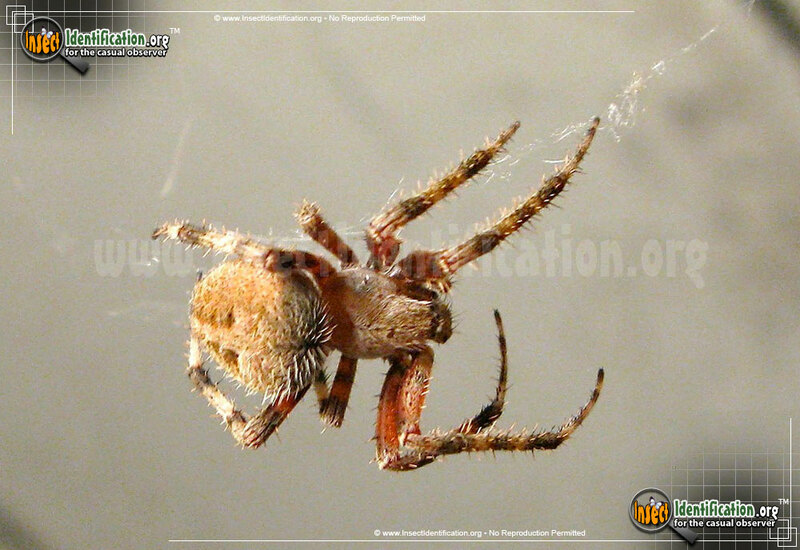 Spotted Orweavers spin orb-shaped webs that can be up to 2 feet in diameter. 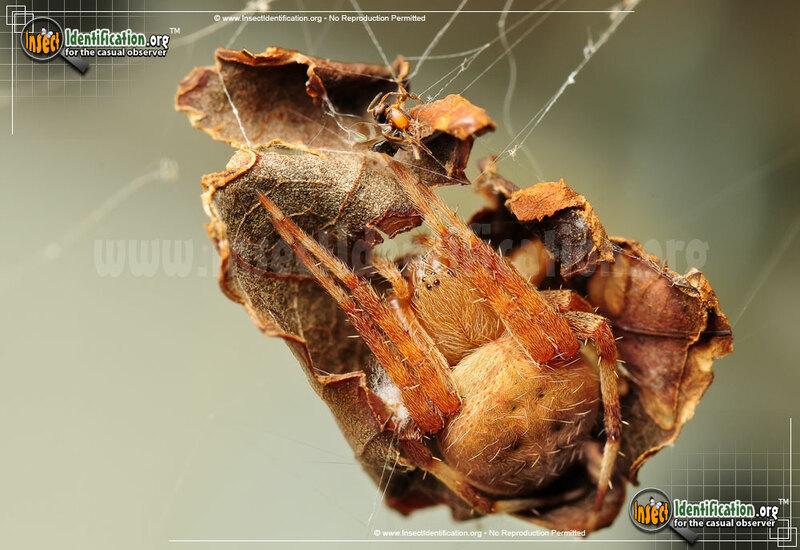 During the day, they usually hide in a curled leaf near the edge of their web. Individuals can vary in color: some appear tan, others are orange/red, while still others are yellowish-brown. The markings on the abdomen can also vary between individuals in this species. Some have a a light, barely visible pattern; others have clear, dark zigzags down the sides of the abdomen. 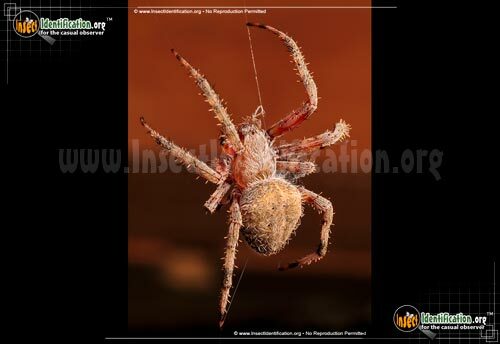 All of them have bristles on their abdomen, legs, head, and thorax. 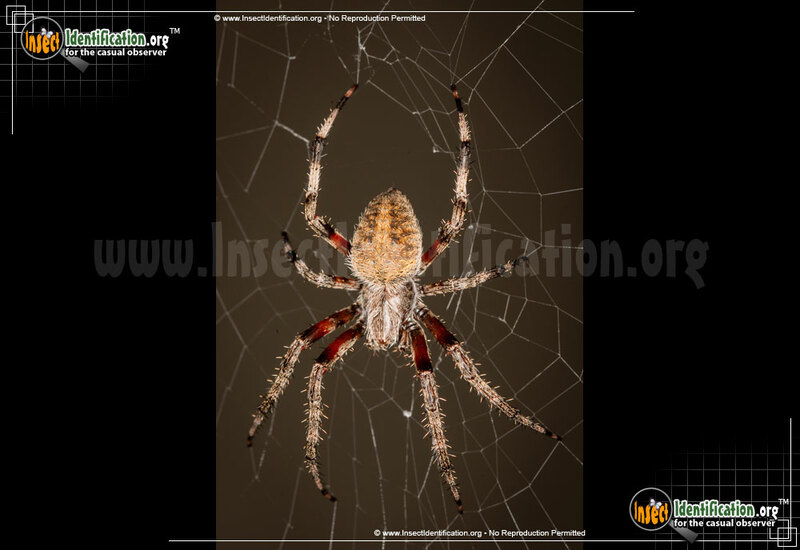 Spotted Orbweavers can be found in woodlands, chaparral, fields, gardens, parks, and backyards. 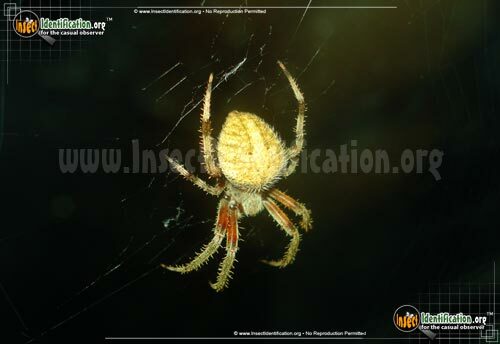 They are active mostly between May and August. 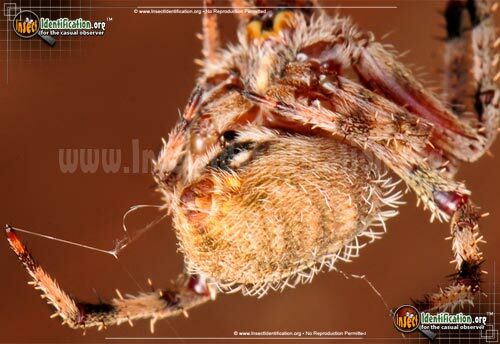 These hairy spiders are nocturnal, but it is not unusual to see one during the day. Females lay eggs in a sac spun from their silk. 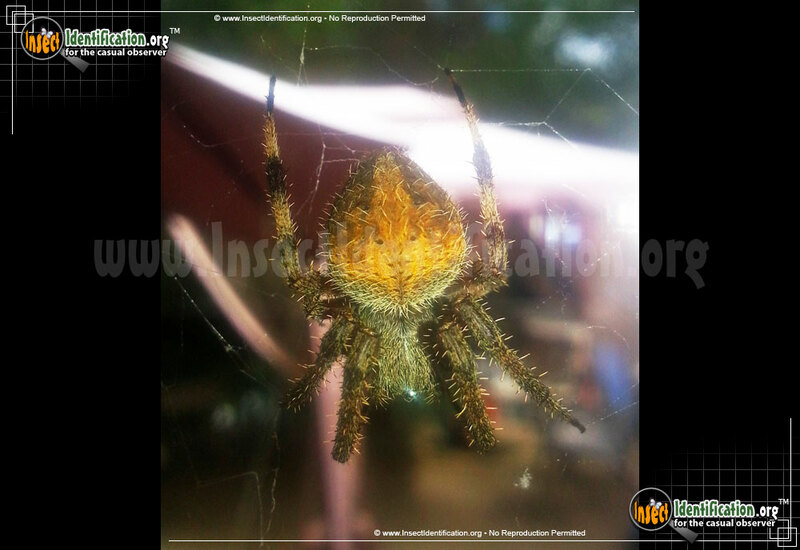 This precious cargo hangs sits near the web until the spiderlings hatch. 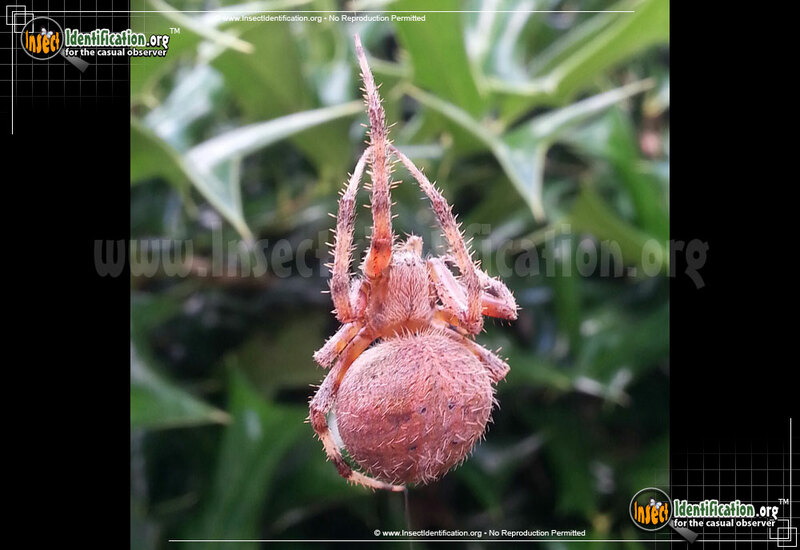 Although spiders are usually the hunter, the spiderlings of this species are frequent targets for mud dauber wasps. 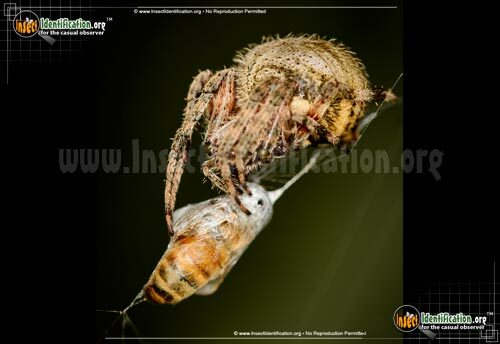 The wasp uses them to feed their own young.